Tell you what, I will do you all one better, I will get you a picture from the tape and put it online (my computer has a whole DVD writer system, and I can get pictures from VHS with it). Hopefully I will have it up tommorow. Thanks very much. The chains are a little longer than I remember but the impression that the sphere (carcass) is outside a small diameter cannon (swival gun perhaps) seems to me to be indicated by the photos. I see no vents or openings in the carcass unless they are all on the hidden side (unlikely) so I still feel that the carcass has to be manually ignited just prior to firing the cannon. I just got a copy of the book that Susan mentioned: "Man-of-War" by Macintyre & Bathe. That certainly explains the strange name for such a projectile! type used to ignite the combustible materials inside the carcass. Any other ideas? "The Great Gamble: Nelson at Copenhagen" by Dudley Pope. soon the Dannebroge caught fire." mounted twenty-eight 68-pounders and twenty-eight 48-pounders. I found some info on "Fire Darts" in "Boarders Away II" by William Gilkerson. Surprisingly, It looks amazingly like the pictures above! It wasn't made up afterall. Just go to pages 27-30 and they talk about it! 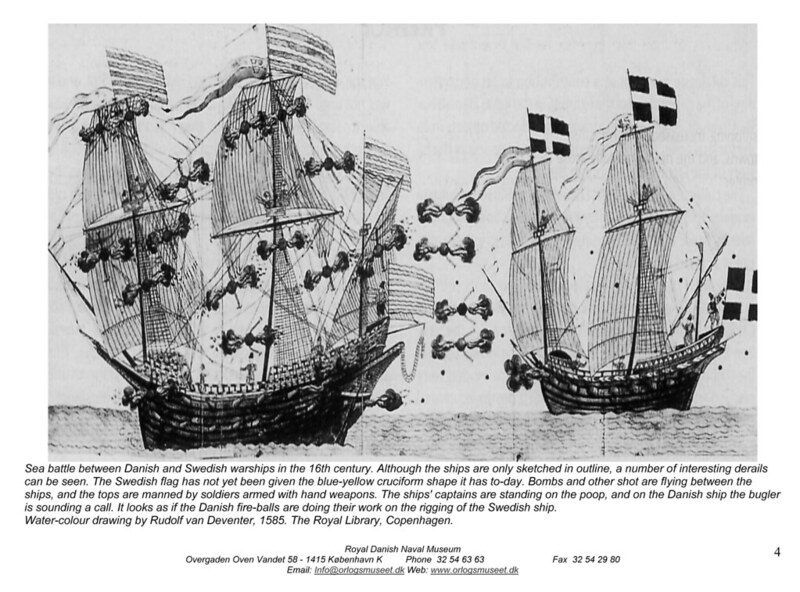 Luckily I am doing research on weaponry for my Age of Sail and Piracy '101' project or I would have never stumbled on this! since the Glatton (56) was one of the all-carronade experiments by the Admiralty. used by the RN of the era is needed to make a correct determination. Was the "carcass"
used by the Glatton sized for a large bore carronade or a smaller bore swivel gun? Last edited by timoneer on Fri Aug 11, 2006 12:29 am, edited 4 times in total. combustible materials and tossed like a Frisbee onto an enemy ship. "Take one Pound of Salt-peter have a Pound of Gun-powder, and as much Brimstone in Powder, mix all these together with Oyl of Petriol; with this Composition fill the Bag, round about the Arrow-head, and bind all about with nealed Wyre. "For the Priming of these Darts or Arrows, Dip Cotton Week into Gun powder wet with water, and let the Cotton be well dried before you use it. "For the joyning of the Staff to the Arrow-head, let it be done very slightly, that the Arrow-head being fastened into any thing, those may be deceived that intend to pull out the Head, for they will pull out the Staff only."